Would You Wear Red Patent Leather Pumps? It's not often that our editors consider wearing red patent leather since we often associate it with racier, after-dark occasions and super-fashion-forward looks from the runway that don't always translate into everyday life. However, when we came across these three street style stars who were snapped in bright red patent pumps, the thought of wearing the standout fabric became much more likely. Which led us to the realization that when it comes to far-fetched colors, fabrics, and textures, we're always much more likely to experiment with them when it comes to shoes. Statement details are always much more approachable when they are available to try in a safer, smaller form. That said, we definitely see a pair of red patent pumps in our future for moments when we want to spice up our look. 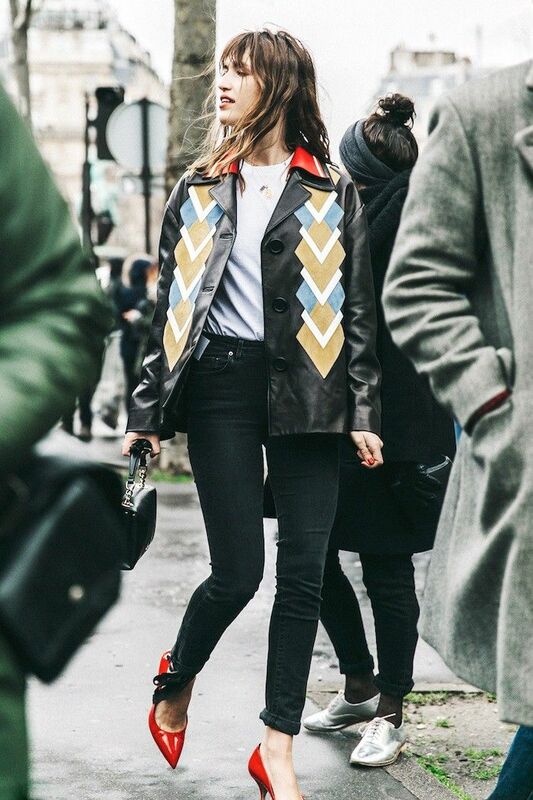 Scroll through to see the street style inspiration and to shop our top red patent leather pump picks. Make a major fashion-forward statement with these ankle wrap pumps. This slingback pair has more of a classic feel. These red pumps have a crazy high heel that's great for a night out. This T-strap pair has a cool retro feel. This budget-friendly pair is great for pulling off one of the above looks. Would you wear a pair of red patent heel pumps? If so, how would you style them? Tell us in the comments below!